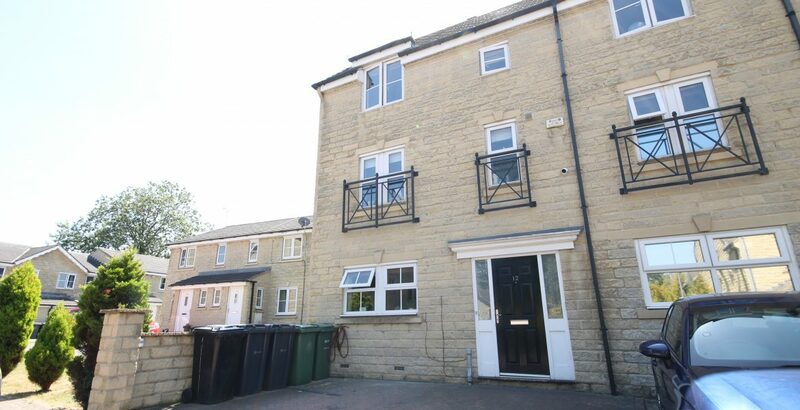 An exciting opportunity has landed to purchase this incredible, beautiful and spacious Semi Detached property in the highly sought after location of Guiseley and within easy walking distance of all local amenities, Schools and Guiseley Train Station – for those Leeds commuters! 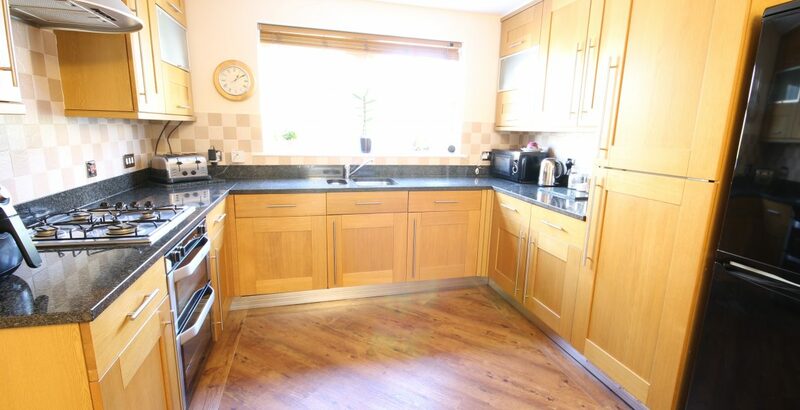 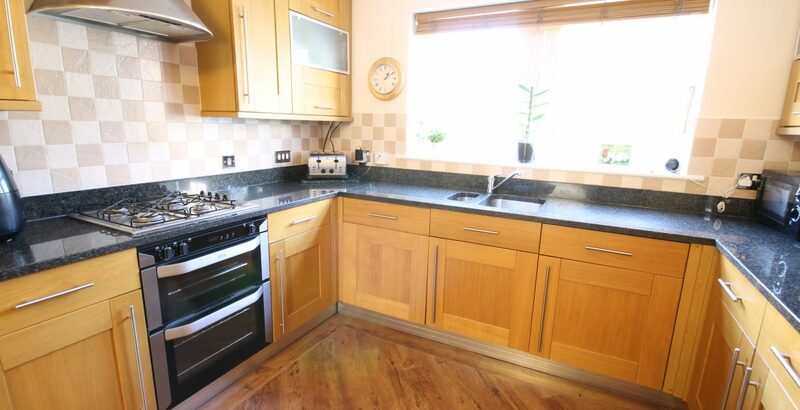 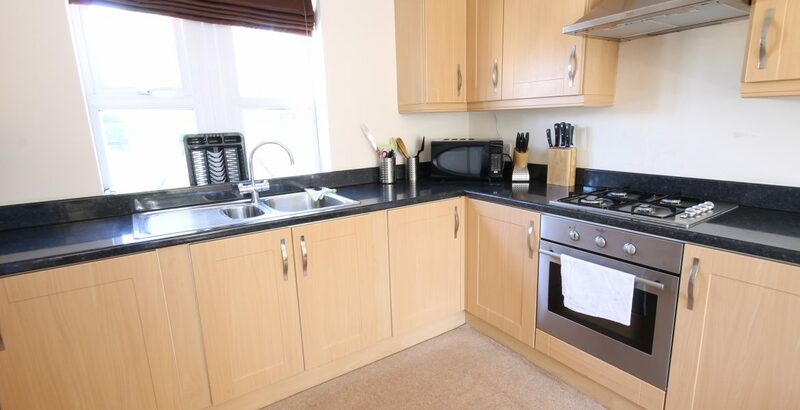 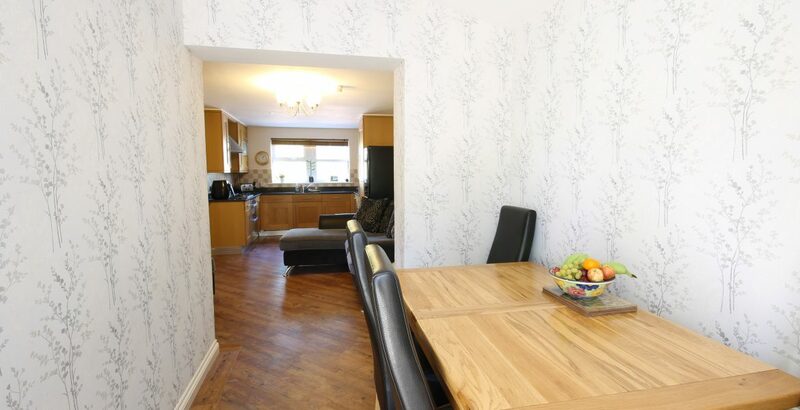 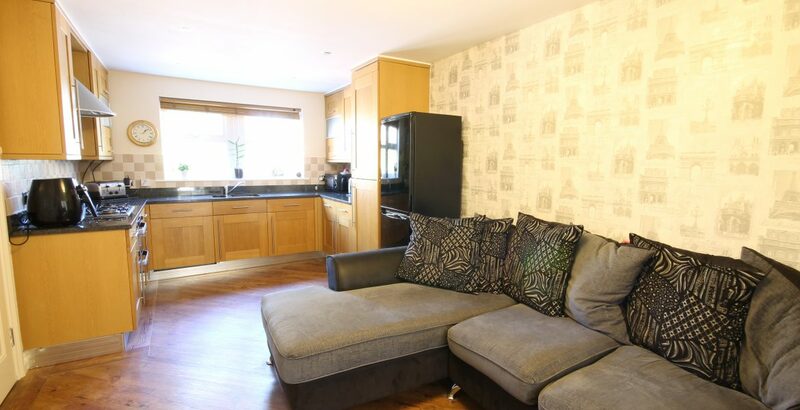 An ideal home for a large family requiring separate living areas or an opportunity for live in landlords wanting to part rent out the property or investors interested in purchasing with two letting units. 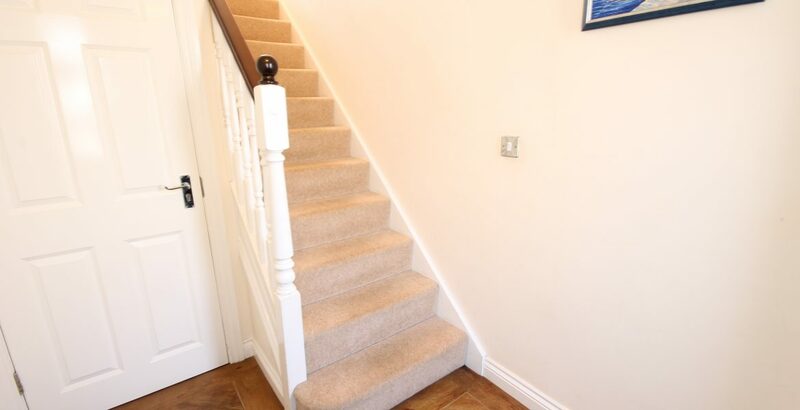 GROUND FLOOR – Entrance Hall; Open plan Living/Kitchen/Dining Room; Utility Room; Three Bedrooms; and Master House bathroom. 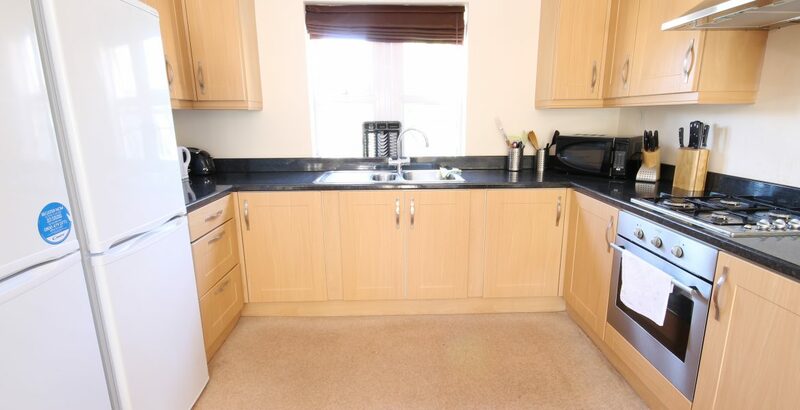 1ST FLOOR: Separate Entrance; Open plan Lounge/Diner/Kitchen; Utility Room; Double Bedroom inc. En-suite and Storage Cupboard. 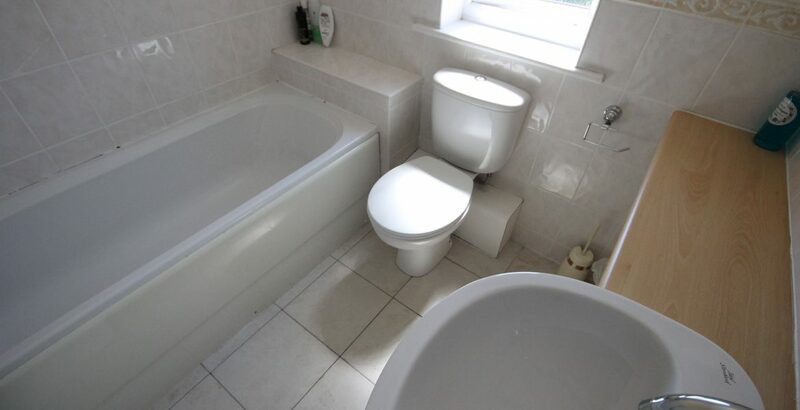 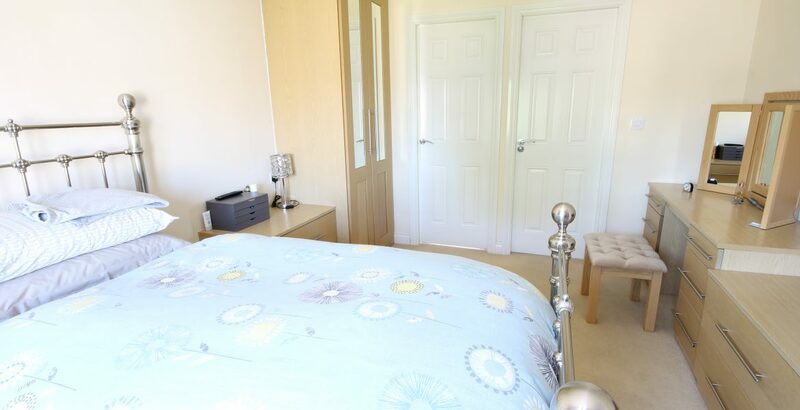 2nd FLOOR: 3 Double Bedrooms, Master with En-suite Shower Room; House Bathroom. 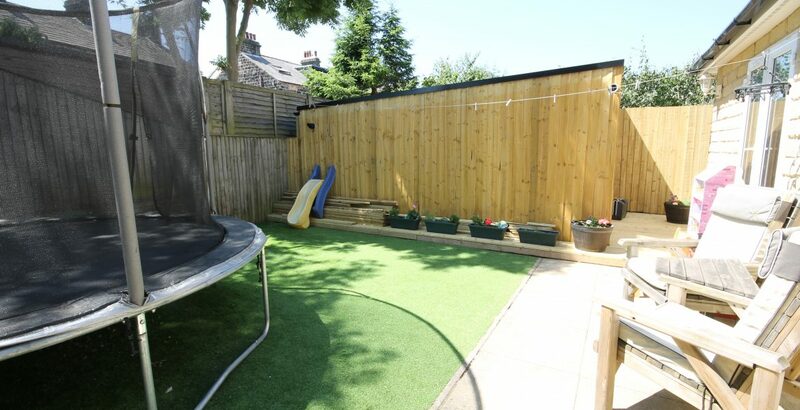 EXTERIOR: Driveway with parking for 3 vehicles; Rear Garden. 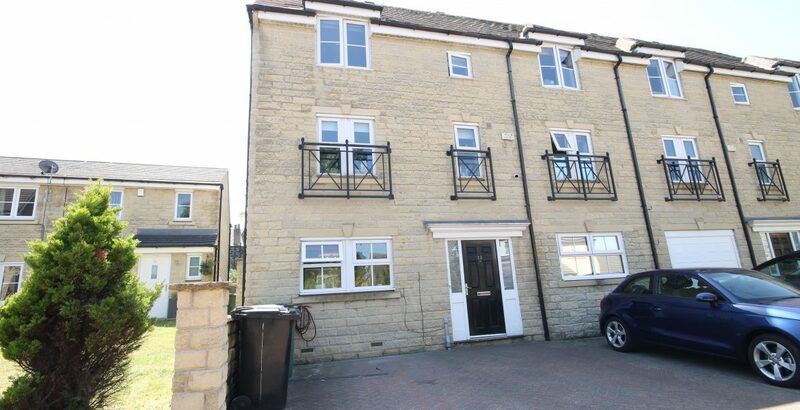 The property presently consists of a ground floor apartment dwelling with 3 bedrooms and the upstairs is a self contained 4 Bedroom Duplex which alone is presently achieving a monthly return of approximately £1600pcm (Bills inclusive). 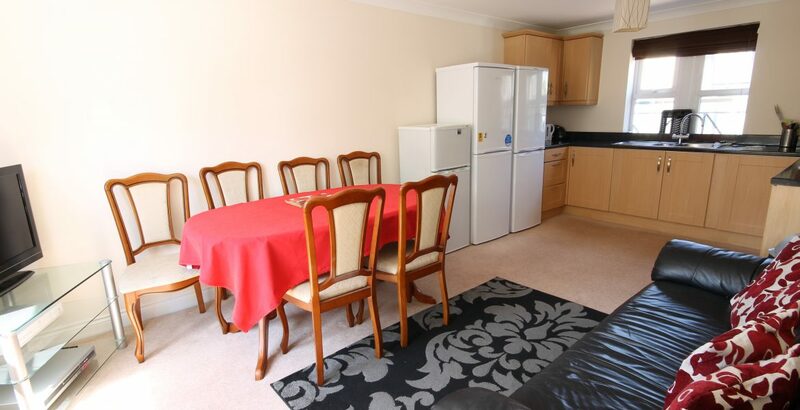 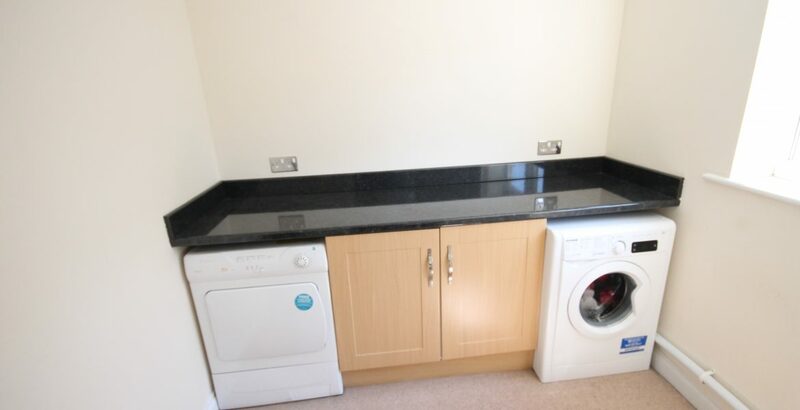 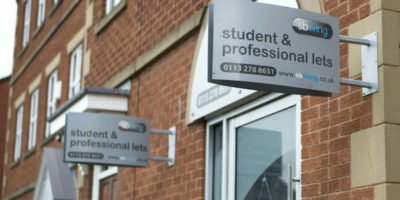 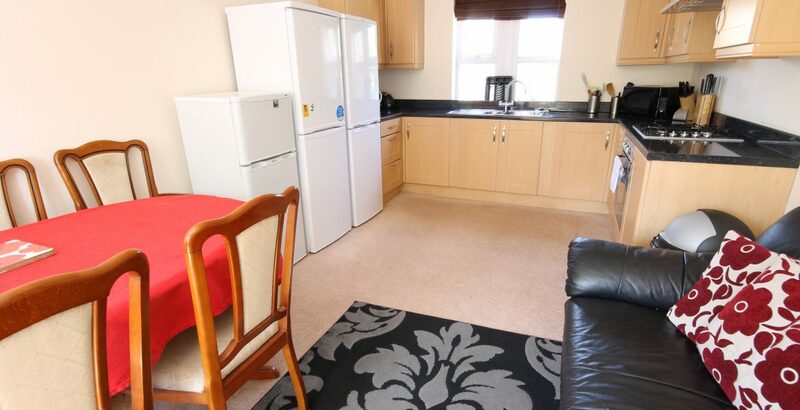 (Please note that this property is a licence HMO). 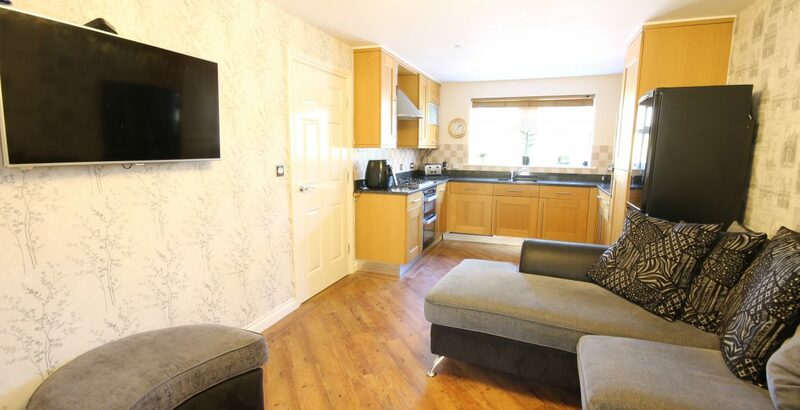 LIVING ROOM/KITCHEN – 5.97m x 3.12m (19'7″ x 10'3″) – Offering a beautiful open plan layout, with very striking hard wood polished flooring and appealing décor, whilst hosting a modern oak effect Kitchen with granite work surfaces and integrated appliances. 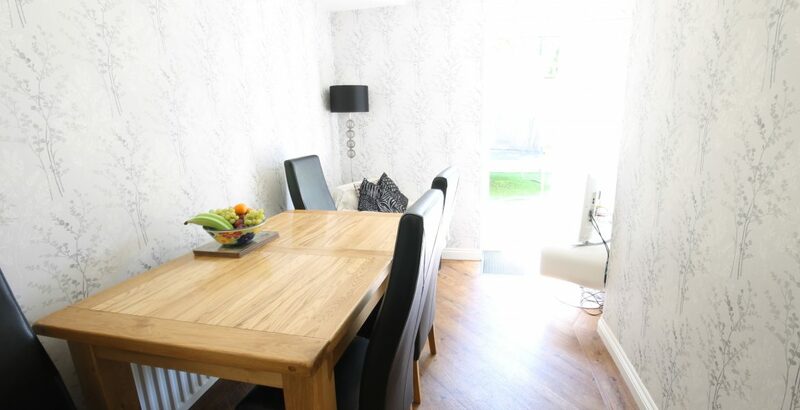 DINING ROOM – 3.18m x 2.13m (10'5″ x 7'0″) – Offering the same high standard décor finish as the living area, the dining room extends further to allow access through French Patio Doors to the rear gardens, and continues the Karndean flooring. 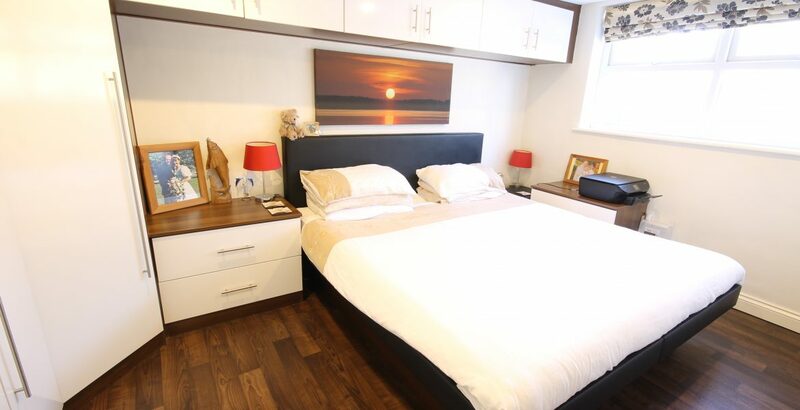 BEDROOM 1 – 3.61m x 3.12m (11'10″ x 10'3″) – A beautifully displayed double bedroom with fitted exquisite fitted wardrobes, encompassing of the modern finish throughout the property – with dark oak style cupboard tops, brilliant white cupboard doors and a dark varnished wood flooring – A bright and lovely room! 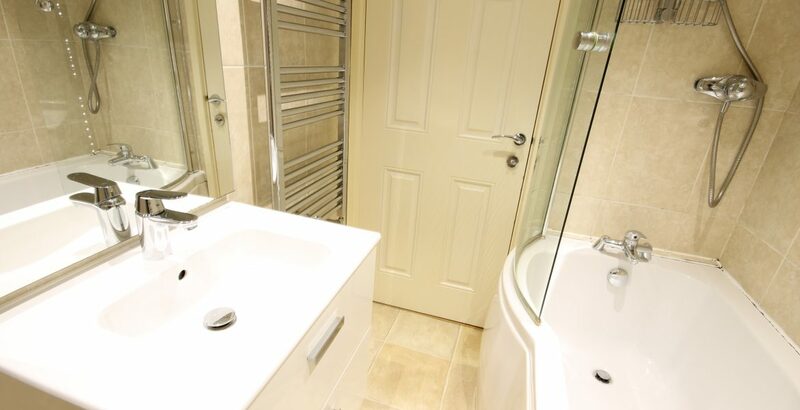 BATHROOM – 2.18m x 1.63m (7'2″ x 5'4″) – Marble style tiling from top to bottom, and a contemporary white bathroom suite with overhead bath/shower and glass door! 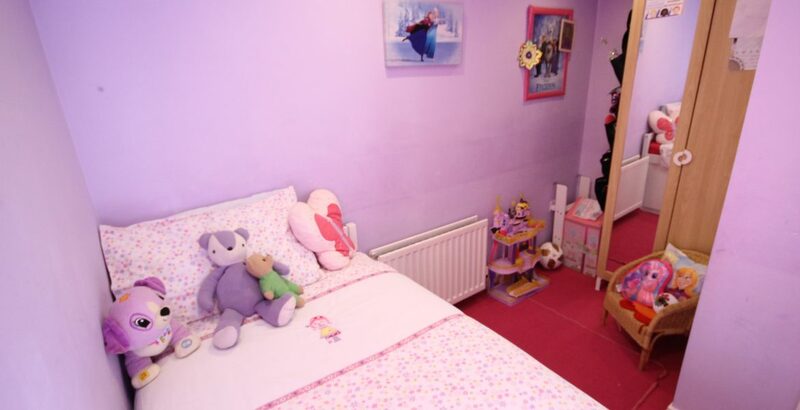 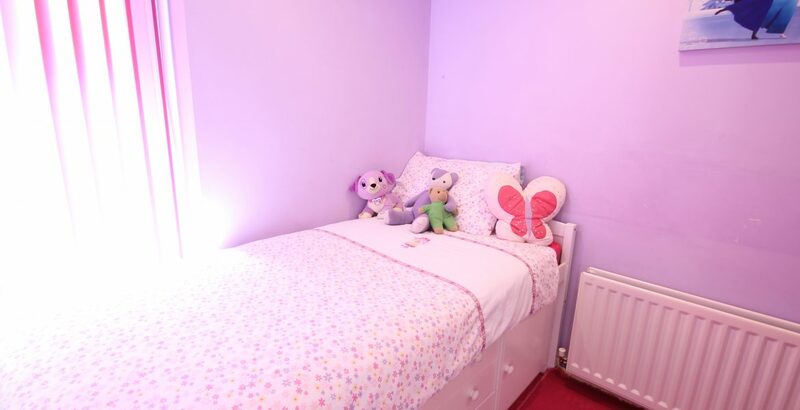 BEDROOM 2 – 2.84m x 2.82m (9'4″ x 9'3″) – If Pink is your colour, then you’re in for a treat with this great sized second Double Bedroom, carpeted and hosting a large window for ample natural light! 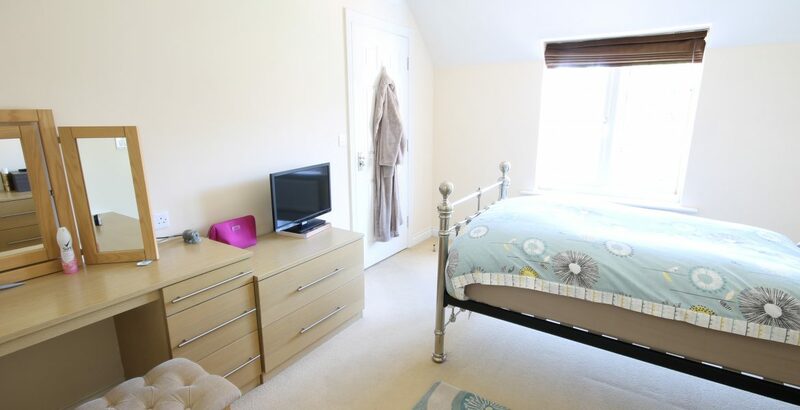 BEDROOM 3 – 3.20m x 2.54m (10'6″ x 8'4″) – A great size for a child’s room or perhaps a study? 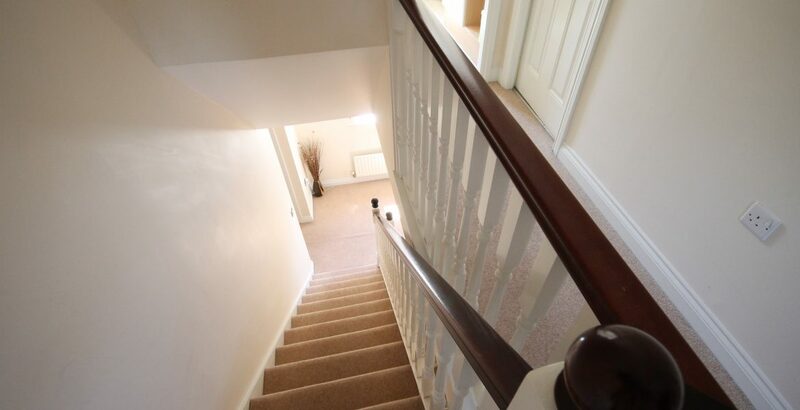 LANDING – With a staircase up to the self contained, completely separate second floor. 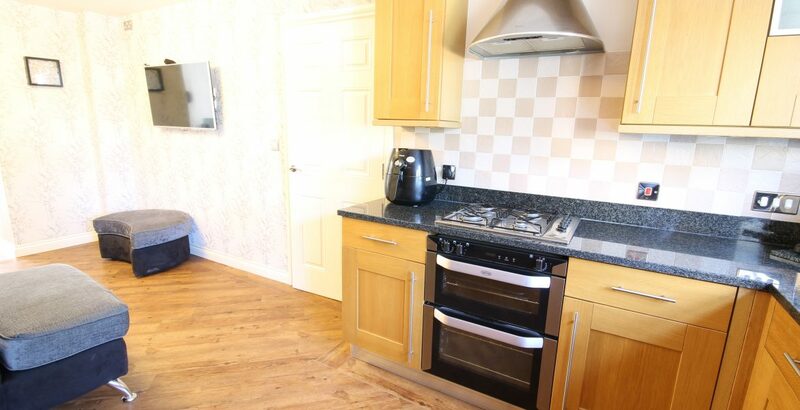 LOUNGE/DINING ROOM/KITCHEN – 5.36m x 3.23m (17'7″ x 10'7″) – Simply huge communal area including another modern fitted Kitchen with a range of quality wall, base and drawer units work surfaces, integrated electric oven, gas hob and extractor over. 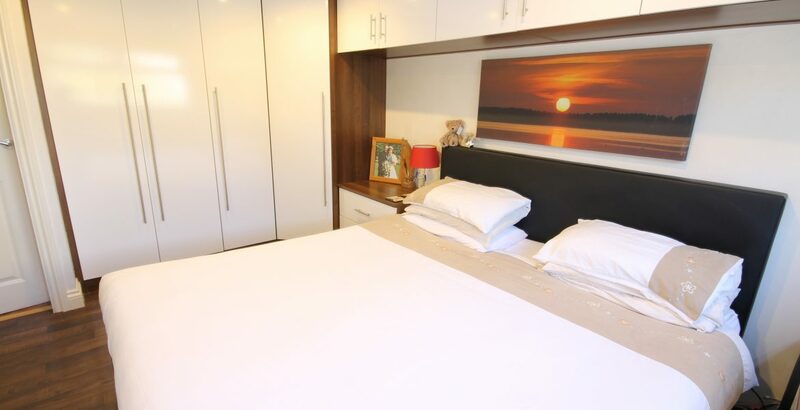 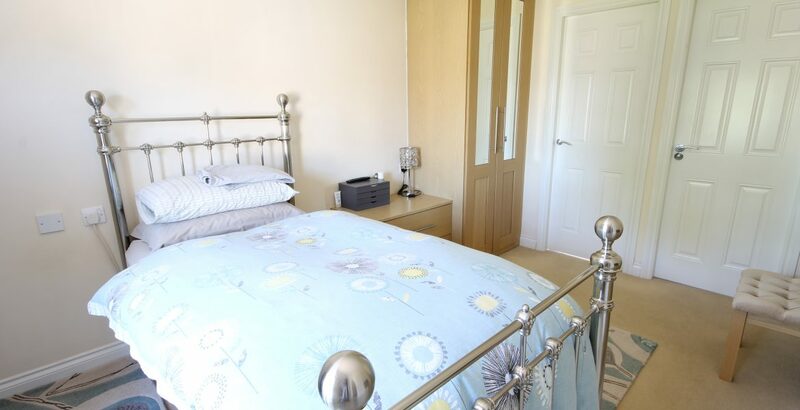 BEDROOM 4 – 3.68m x 3.12m (12'1″ x 10'3″) – A double bedroom with a window to the front elevation. 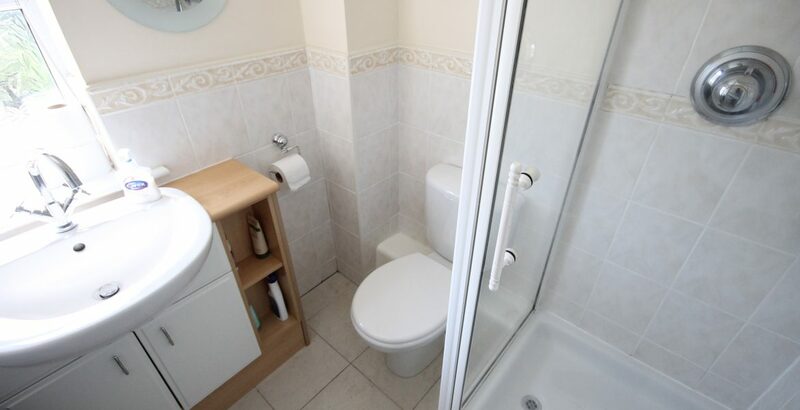 EN-SUITE SHOWER ROOM – 1.80m x 1.75m (5'11″ x 5'9″) – Including glass door, standing shower cubicle, WC and basin. 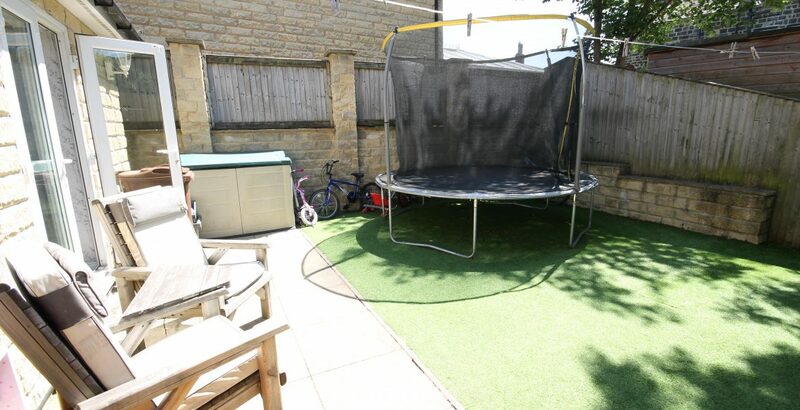 EXTERNAL – Offering a desirable garden to the rear of the property, well maintained and enclosed, and a front driveway for up to 3 vehicles.